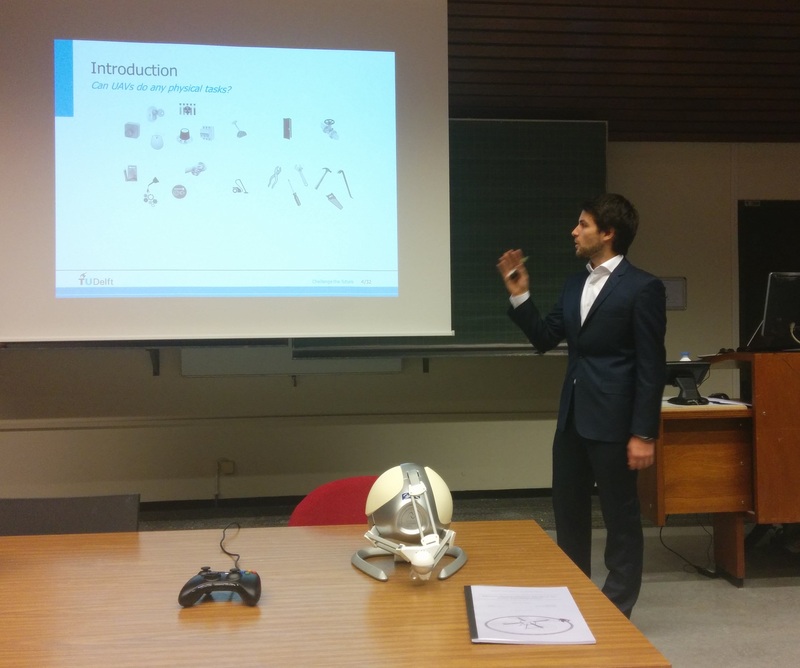 On Thursday December 14th, Graham Nixon presented his MSc thesis on telemanipulation with UAVs. His work titled “Effective Human-Machine Interfaces for Aerial Telemanipulation” work was deemed worthy of a 9! His supervisers (David and Jeroen) as well as the others in the Haptics Lab congratulate him on this fine result.